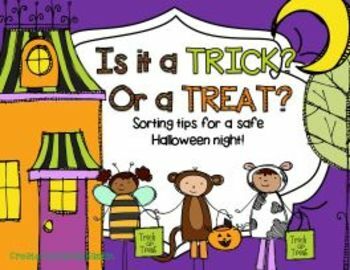 Is it a Trick or is it a Treat?A safety tip sort. 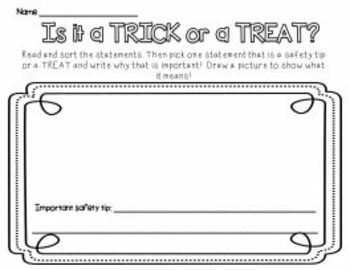 Help remind students of how to stay safe on Halloween with this fun Trick or Treat statement sort. 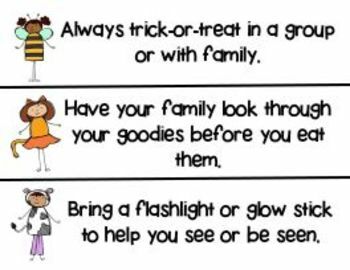 Students will then choose one safety tip and write why it is important and then draw a picture to show their understanding.